Benjamin James Bucknell Davy and his brother Charles Irwin Davy Jr. lived at 50 O'Kill Street with their parents Charles Irwin Davy and his wife Margaret (nee Bucknell). Both brothers enlisted — first Irwin, in 1914, and about three years later his younger brother. 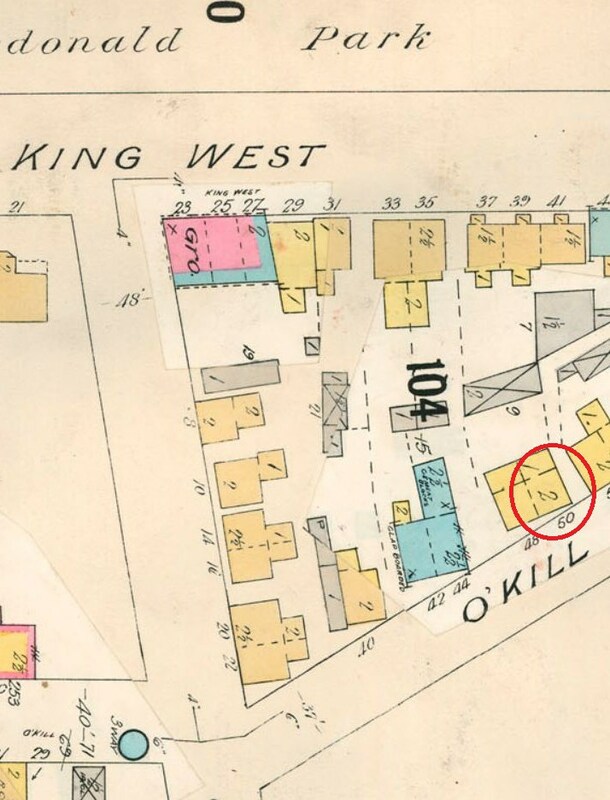 O'Kill Street is now part of Queen's University — see the Google Street View for a current look at the house. Both brothers survived the war. 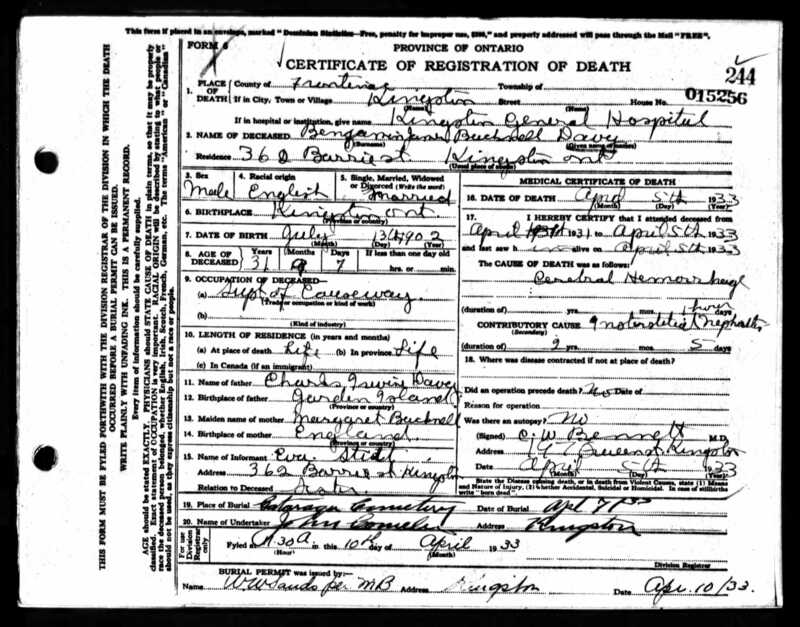 Benjamin married Violet Eileen Goodman in August 1924 in Kingston (see their marriage certificate, above) but he died in April 1933 of a cerebral hemorrhage (see his death certificate below). At the time of his death he was the Bridge Superintendent at the LaSalle Causeway in Kingston. Charles Irwin (who was called Irwin) married Vera Leslie of Kingston in 1926. He survived until 1943 when he died suddenly at his desk in his office in Sherbrooke in Quebec. You can see his grave at the Cataraqui Cemetary on the Find a Grave website. 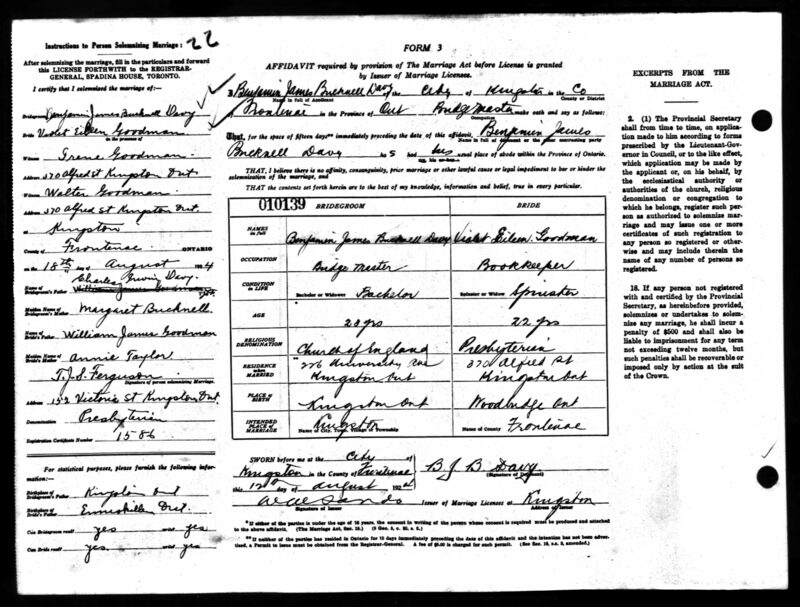 Many thanks to Catherine McLeod of Belleville, Ontario, for drawing our attention to this information about her grandfather Benjamin and his family.